Atlanta metal band Sevendust has released a new music video for “Risen,” the latest single off their new album, “All I See Is War.” The video features live footage from a recent concert in London, and those who have seen Sevendust’s live show will recognize the band’s high-octane stage attack in the video. Watch the full clip for “Risen” via YouTube below. The new music video comes just a few weeks before Sevendust kicks off their late-winter tour tour with Tremonti, the band fronted by Mark Tremonti of Alter Bridge and Creed. That trek kicks off Feb. 1 in Houston and run through early February. The band will also hit the road with Maria Brink and In This Moment in May. 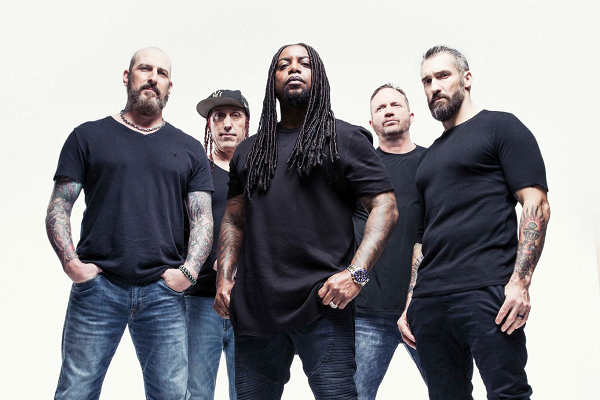 Speaking with Audio Ink Radio in a new interview, Sevendust guitarist Clint Lowery discussed what he admires most about Mark Tremonti’s work ethic. Check back next week for Audio Ink’s full interview with Lowery.